Im Herzen von Gracia gelegen und trotzdem ruhig. Sehr empfehlenswert. 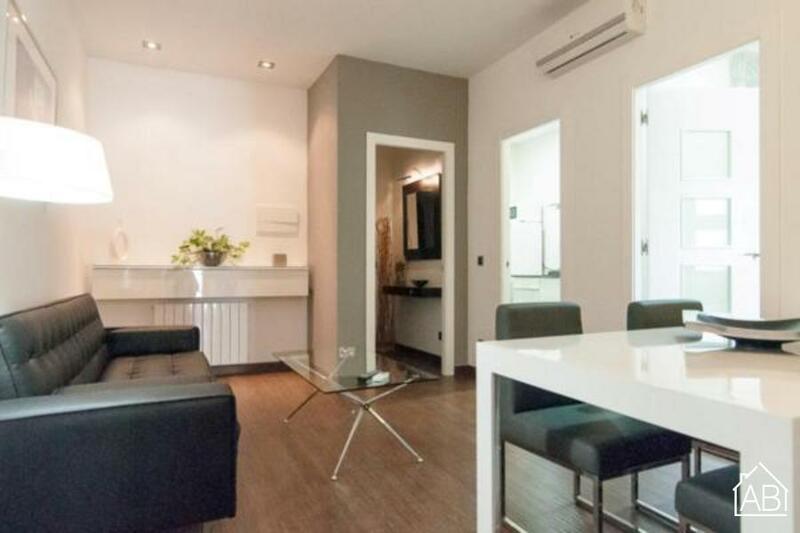 Located in the Gràcia district, this one bedroom apartment is a perfect choice for your Barcelona getaway. This charismatic neighborhood maintains a small town ambience where you will discover an array of international cuisine, independent boutiques and beautiful winding streets. With the famous Park Güell in this area, you can catch the most beautiful panoramic views of the city´s skyline. This one bedroom holiday apartment in Barcelona enjoys a modern feel with a neutral colour design and large windows which allow plenty of light to fill the living space. The living room has a single sofa bed and a TV, perfect for relaxing after a day of sightseeing. An Internet connection is also available making it easy to stay in touch with those back home. The bedroom is furnished with a double bed and plenty of room for storage. The apartment has one bathroom with a luxurious large Jacuzzi bath. This apartment can sleep up to three people. The modern kitchen is well equipped allowing guests to create their favorite meals all in the comfort of their own home-away-from-home. And with access to a balcony, guests may want to enjoy their meals alfresco in the summer months. For those searching for a warm and welcoming place to call home, this modern apartment in Barcelona is a fantastic choice!